Hello, friends! I'm back and it feels wonderful. Today for my Mondays with Melissa, I've created a shaped card, without a fold...definitely non-traditional, but effective nonetheless. I am enjoying all-things flowers right now, and have selected the 2018 Anniversary Set: Mixed Bouquet stamp set and coordinating dies for this card. And the Pen & Ink stamp set was used for my sentiment. Have you tried creating cards with double sentiments? I challenge you to give it a try :). To begin, I started with the Lucky Scratch Die. I like the shape of the jumbo ticket and really love the rounded corner square shape that can be embossed onto the ticket. It created a perfect focal point for my florals. To create a soft pattern for my card, I used Aqua Mist ink and the Stencil Basics: Hexagon collection. I didn't create a solid background, but left it varied and random, with spots that were darker than others. I purposefully avoided stenciling over the embossed square portion of my card, leaving it untouched so my florals would stand out. Next came my florals, stamping them inside the embossed square. All of my flowers are from the 2018 Anniversary Set: Mixed Bouquet set. This particular flower was stamped in Bright Buttercup and Summer Sunrise, with my stem stamped in Spring Moss and Prairie Grass. I added a second bloom to my flower before moving on to my sentiment. Olive Twist is currently my go-to color for sentiments. I love that it's dark and crisp, but a bit softer than True Black. The Pen & Ink stamp set is full of delightful sentiments in a variety of sizes and themes, but all with the gorgeous font seen here. Next came the second sentiment, stamped on a die cut XO Skinny Mini Tag. I used a bit of baker's twine and a button to embellish the edge of my tag. Lastly, I added a couple more flowers from the 2018 Anniversary Set: Mixed Bouquet, this time stamping in Sweet Blush and Pale Peony. I adhered them using dimensional adhesive to create a bit of depth. This was such a fun card to create. As I mentioned earlier, it doesn't have a fold, so it is similar to a post card, but I love this look and feel. Think outside the box! The recipient will be sure to love what you've created just for them. Hi there! 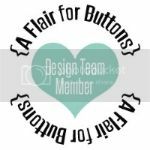 I'm on the Papertrey Ink blog today with some fun tags using the sweet Bite Size Tags stamp set and die collection. A few of the designers are sharing projects we've created using these unique products. I paired my Bite Size Tags with the Noted: Pinked A2 Vertical Dies. These products are perfect for gift tags for homemade goodies and treats, gifts, cards, packaging, etc. Stop by the Papertrey Ink blog to see more.